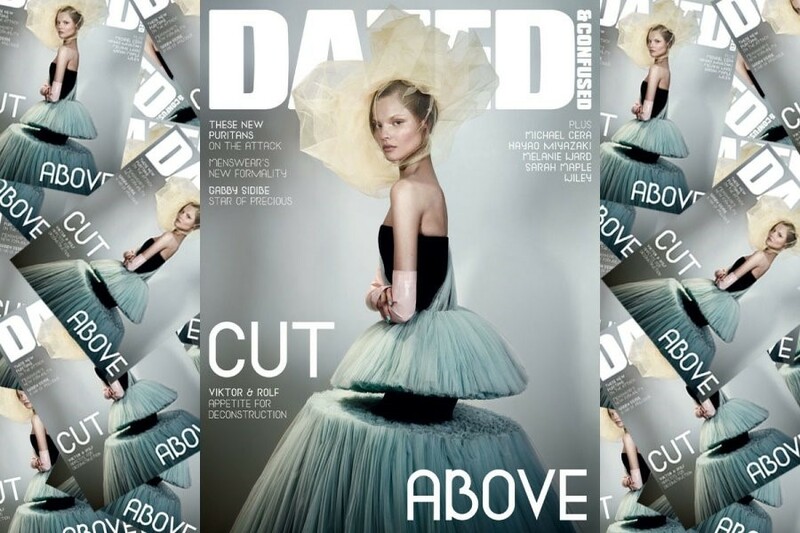 Kicking off Spring 2010, Dazed & Confused oversees chainsaw couture from Dutch designers extraordinaire Viktor & Rolf. Shot by Josh Olins, modeled by Magdalena Frackowiak and styled and interviewed by fashion editor Katie Shillingford, the Dutch legends that are Viktor & Rolf explain how their stunning tulle ballgowns defy both gravity and conventional economic wisdom. Elsewhere, bodycon meets sportswear in a shoot styled by Dazed senior fashion editor Karen Langley, and we talk to Raf Simons, Lucas Ossendrijver, Domenico Dolce and Damir Doma about their deconstruction of menswear. Former Dior poster-boys These New Puritans take photographer Leonie Purchas on a tour of the desolate islands of Essex, and discuss their majestic second album, while we also introduce the powerful sounds of Dave ID and Factory Floor. Mariah Carey’s co-star Gabourey Sidibe explains just how she managed to survive starring in the remarkable Precious, while super-stylist Melanie Wardlooks back at the dawn of grunge fashion. There’s also a survey of LA’s burgeoning experimental arts scene – including interviews with Hecuba and their favourite local collaborators – plus a rare encounter with Japanese anime genius Hayao Miyazaki. Elsewhere: indie-superhero Michael Cera blushes about new film Youth in Revolt, grime overlord Wiley meets upcoming female MC Lioness, Walter van Beirendonck looks back at a colourful 90s, and Sky Ferreira takes her pants off.